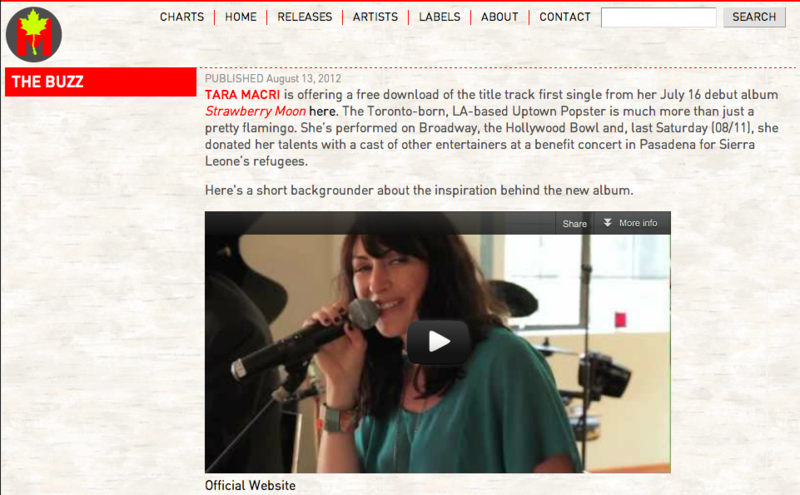 TARA MACRI is offering a free download of the title track first single from her July 16 debut albumStrawberry Moon here. The Toronto-born, LA-based Uptown Popster is much more than just a pretty flamingo. She’s performed on Broadway, the Hollywood Bowl and, last Saturday (08/11), she donated her talents with a cast of other entertainers at a benefit concert in Pasadena for Sierra Leone’s refugees. Here’s a short backgrounder about the inspiration behind the new album.